The Service to FDLI Award, established in 2017, honors members who have provided exceptional volunteer services to FDLI. The Award’s criteria centers on a long-standing history of quality contributions to FDLI. The Award is distinct from the Distinguished Service and Leadership Awards which recognize outstanding leadership in the food and drug law community. Both will be presented at the FDLI Annual Conference, May 2-3, 2019. SARAH ROLLER is a partner in the Washington, DC office of Kelley Drye & Warren LLP and is Chair of the firm’s Food and Drug Law practice. 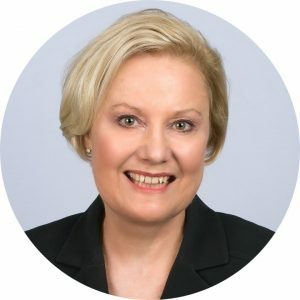 For more than 25 years, Ms. Roller’s practice has focused on the representation of US and global companies and industry trade organizations that are involved in the development, manufacture, packaging, labeling, marketing, and retail sale of foods, beverages, dietary supplements, and other health products. She represents companies in proceedings before FDA, USDA, FTC, TTB, and state governmental bodies and serves as regulatory counsel in litigation matters involving product safety, labeling, and advertising regulation. Ms. Roller is a Registered Dietitian and received her Bachelor of Science from the University of Wisconsin-Madison and her Master of Public Health from the University of Minnesota. She received her Juris Doctor from The George Washington University. Ms. Roller has been recognized nationally as a leading practitioner by Chambers USA and selected as one of The Best Lawyers in America. STEVE ARMSTRONG is an independent advisor at EAS Consulting Group who has over 20 years of experience advising leading consumer products companies on marketing and regulatory matters. Prior to EAS, Mr. Armstrong served as the Chief Food Law Counsel at Campbell Soup Company, where he counseled Campbell businesses on food safety, food policy, labeling and regulatory compliance, including matters involving FDA, USDA, and food agencies around the world. 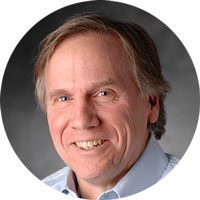 Steve also served as a marketing and regulatory counsel for Unilever and Colgate-Palmolive before coming to Campbell, and he enjoyed a brief career as a newspaper reporter and editor before going to law school. Steve served on FDLI’s Board of Directors from 2014 to 2017and currently teaches food law at Georgetown University. He frequently speaks on food law and policy issues and especially enjoys participating in FDLI events and writing for FDLI’s Update magazine. Steve earned his bachelor’s degree from Harvard College and his law degree from Columbia University. Geoffrey M. Levitt is Senior Vice President and Associate General Counsel for Regulatory, Environmental, and Global Supply at Pfizer Inc, where he is responsible for managing global legal support for regulatory, medical, safety, clinical research, manufacturing and environmental operations. Mr. Levitt has published and lectured extensively on regulatory law. He is a past member of the editorial board of the Food and Drug Law Journal and a current member of the editorial board of the FDA Advertising and Promotion Manual. Mr. Levitt is past Chairman of the Board of the Food and Drug Law Institute. 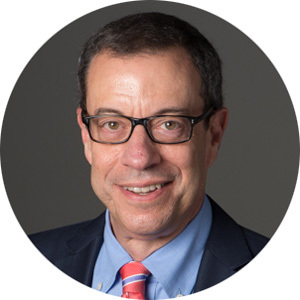 He has also served as Chair of the PhRMA Law Section Executive Committee and is a current member of the Board of the Friedreich’s Ataxia Research Alliance. He earned his J.D. from Harvard Law School and his B.A. from Columbia University.